the heart and soul of our mission... the dogs! Brew City Bully Club focuses primarily on prevention through education and outreach based programs. But we can't leave out RESCUE! The BCBC Rescue Program is designed to place our top notch Breed Ambassadors with top notch Adoptive Families. BCBC Alumni work hard to spread the good word at events, parades, awareness walks and more! 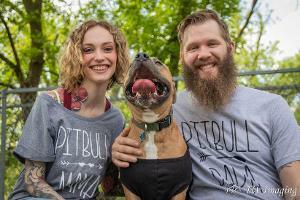 Owning a pit bull requires a proper environment, attention and owner commitment. 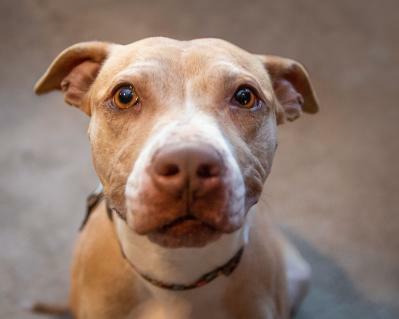 In order to ensure a proper fit between dog and owner, BCBC requires all potential adopters to review our Adoption Guidelines and meet ALL of our criteria before adopting through BCBC. Meet BCBC K9 Alumni who have found their forever homes through loving owners and BCBC's help. The fun loving Miss Nelly has been spayed and is recovering in her foster home before becoming available for adoption! Stay tuned for more details as we get to know this precious soul! Our resident Tripod is recovering from a rough patch in her life. This stray was hit by a car and had to have her back leg amputated. We'll be taking our time to let Amelia come out of her shell as her own pace. You got this little girl! This 7 month old pup is terrified of the world! Not to worry, we are hard at work making the world less scary for her! She'll be getting spayed, vaccinations updated and a behavior modification plan will be put in place to help her become comfortable. Stay tuned for more information on the newest member of the BCBC Family! Want to Adopt a BCBC Dog? Yes?! Cool! Read through the step by step instructions below and then Fill out an Adoption Application Today! What is the BCBC adoption process like? Below is a step by step guide! 2. Review and complete the Online Adoption Application. Use this application to impress us! We have high standards for our dogs and higher standards for our adopters! 3. A BCBC Rep will review your application and will contact you within ONE WEEK to set up a meet and greet with the dog of your choice and your whole family. 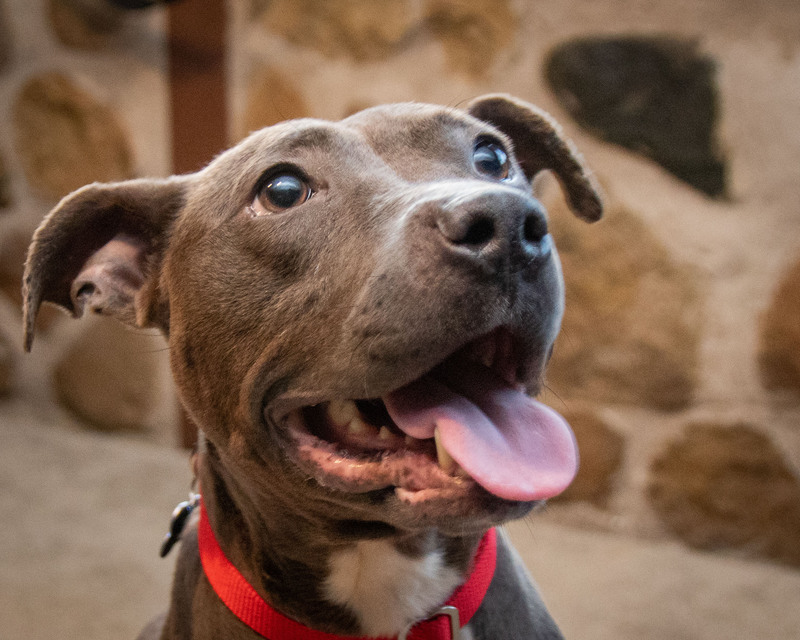 This will allow you to get to know our dog better and will give your current animals a chance to meet the Adoptable and make sure everyone gets along! 4. If everyone falls in love at the meet and greet, you would be invited to keep the dog in your home under our Foster to Adopt contract and the dog will be marked as “Adoption Pending”. We would schedule a time for a Home Visit / Foster to Adopt drop off. 5. Once the dog is responding well to your family and pets, the dog’s training is coming along and everyone is comfortable with the match, we would schedule a time to come to your home and finalize the adoption! This includes signing an adoption contract and providing the adoption donation of $200. 6. You become part of the BCBC Family! You'll be invited (and encouraged) to attend various events, outreach booths, parades, and other opportunities with your Breed Ambassador to help Change Minds and Save Lives! *Please note the BCBC wholeheartedly believes in Positive Reinforcement Training. We hope that your training philosophies align with ours - or that you are open to learning more! Below is an excellent article titled "What is Positive Training" - please take some time to review it. It's very important to us that our adopters don't use any punitive training methods on our dogs. Thank you for your interest in and support of BCBC adoption efforts! Your message is important, and we will respond as soon as possible. We are a small, but dedicated staff and want to provide you a quality response. Thank you in advance for your patience!